Hi, im new to the forums. 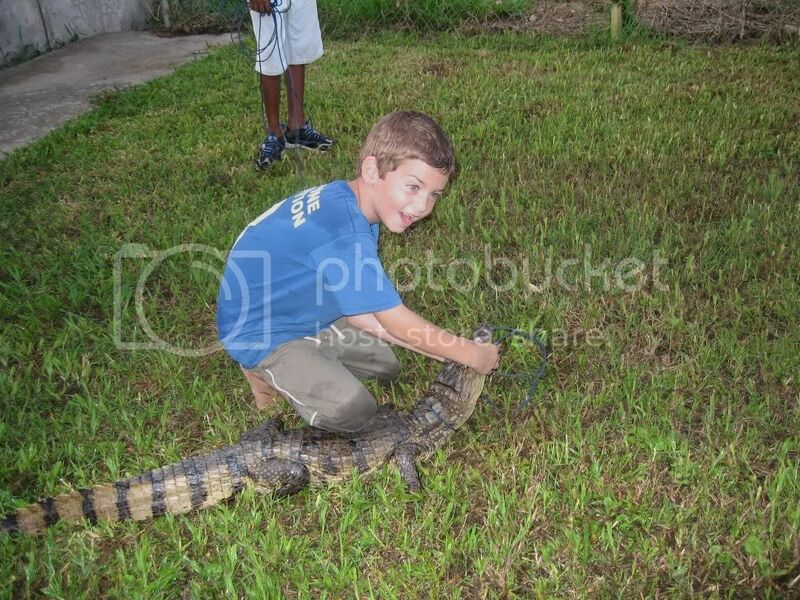 Although i am only 13, i am VERY good with wild animals and like to study them. Just wanted to introduce myself. 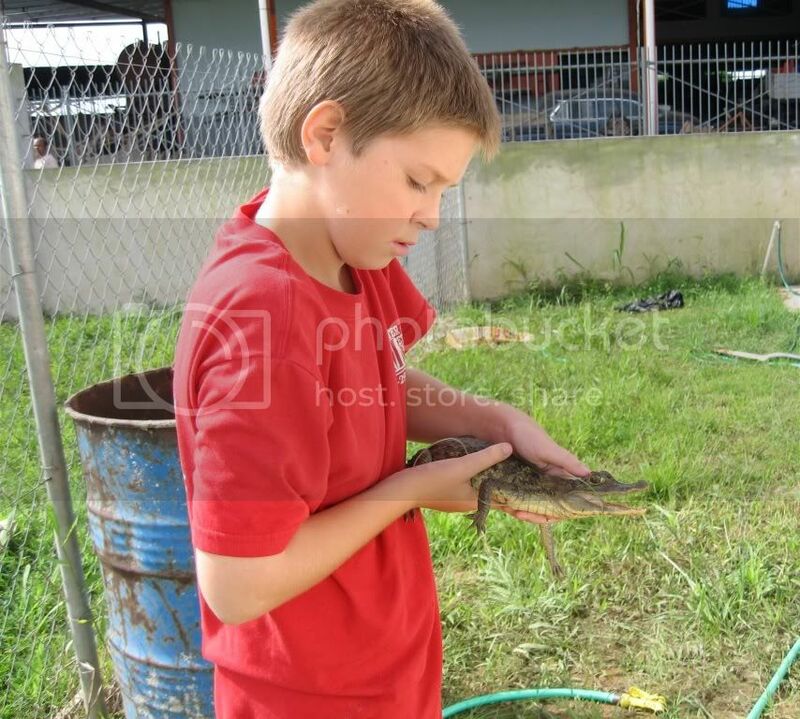 Im JD, i have a 2 Red Eared Slider's(both female), a hamster, and i live on a tropical island called trinidad, and i catch wild animals a lot, so i often have a Boa Constrictor( Im am yet to find one that isnt a red tail) or a Spectacled Caiman, or an iguana. i am on the hunt for a few right now that was spotted near my house yesterday. 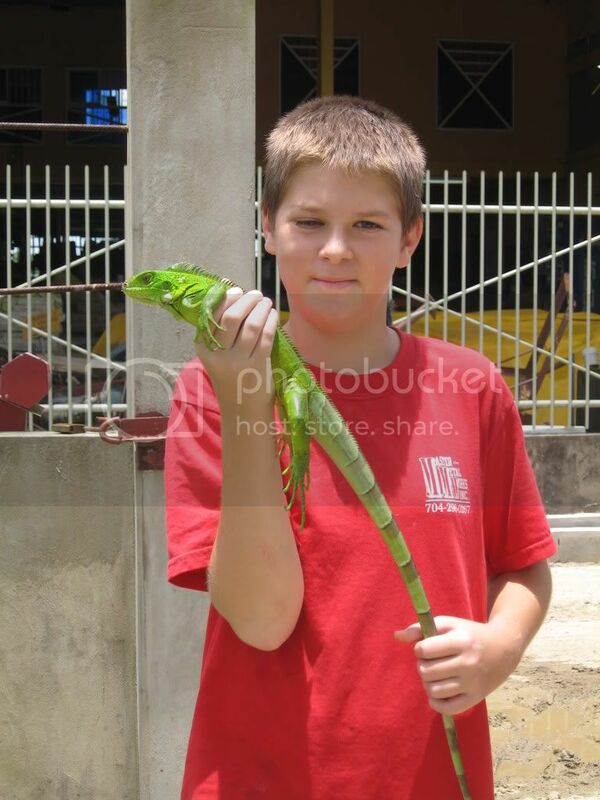 if anyone needs help catching a wild iguana, just ask me. To Paw-Talk.Have fun posting and remember to get around to posting some pictures also. of what, my pets? i will look for some of iguanas and caimans. i think i have one or two of my turtles. AAAAAAAAAAA! cant get the pics to work!!! it keeps showing up as a red X. is this photobucket, or ami doing something wrong? i tried the Email & IM URL, and the direct link. same with both. Why did i let him near it? but, i was right next to him the whole time. I got more, but i gotta go to bed. 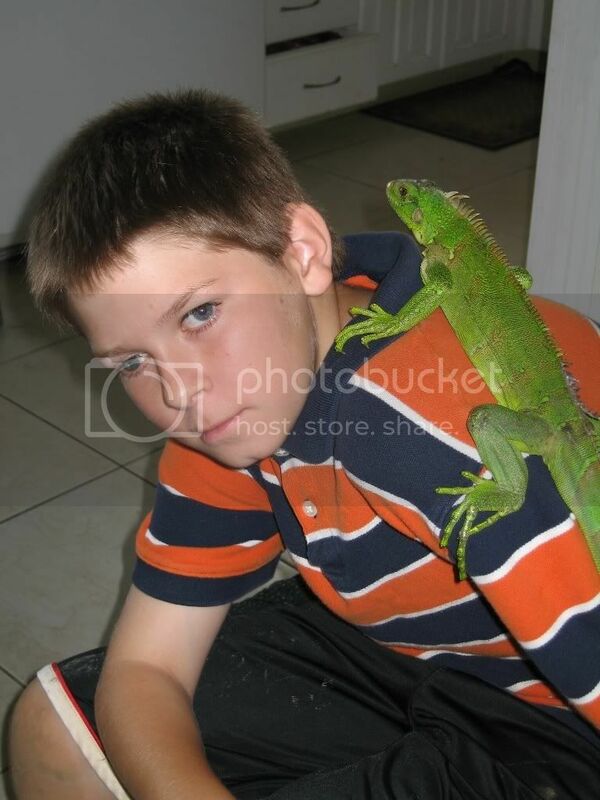 Emerald, my now free Iguana. 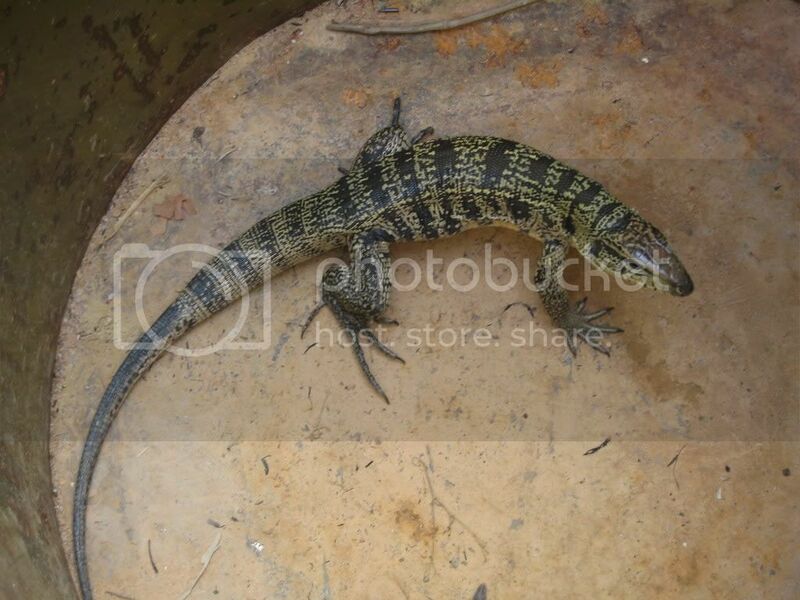 And, the last for now, a Golden Tegu. about 12 inches long, he weighs about 10 pounds, has razor sharp claws and teeth. extremely vicious. I saved him from a trap in the savannah. He was released a month ago. Just curious isn't there like laws or something that says you can't take animals out of the wild? Apparently the laws (if any) are not restricted.MANY of the reptiles in the pet stores are wild caught.Yes,here in Canada too.There used to be a store here that was ONLY reptiles/amphibians and most of them were WC.They were closed down a little while ago,not because of WC animals...but for other reasons (not very clean...etc). Sorry bout my freaky looking eyes. one is fake, so it kinda sticks while my other eye moves around. no, there arent laws like that here. Hello, nice pics! 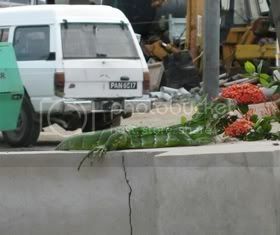 I love seeing bigger reptiles, theyr'e so cool. Don't apologise about your eyes, I hadn't even noticed them until you pointed it out.